Ecommerce Business Solutions has develop several social networking training for groups to help businesses and companies train their team of professionals in the use of key social media channels to market the business. We eliminate the mystery and demystify the process. Social network marketing is the process of promoting the business through social media channels. It focuses on Internet marketing strategies and techniques that develop a closer relationship with your current clients and drive new customers with the use of social media sites. The following are social networking training courses available for group booking. You have the choice to either do an on-site group training (we go to your defined location) or we can host your training for you. If you want training for individuals, review our social networking courses. 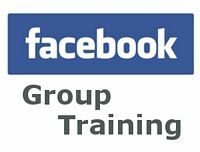 The Facebook training for groups focuses on training your business team or company department on the how-to steps to market the business effectively in the largest social network, Facebook. 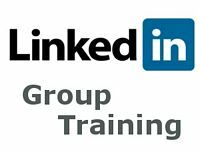 The LinkedIn training for groups focuses on getting your business team or company department trained on the how-to steps to market the business effectively in the largest business social network, LinkedIn. The Twitter training for groups focuses in training your business team or company department the strategies on how to effectively use Twitter to market the business.